Hopping on board the Disco? Oh, boy, we think you're in for some fun. Of course, if you are planning to beam up to the USS Discovery, your first step is going to be stepping into a premium Starfleet uniform costume. We've got you covered with plenty of options there, and then we've got your back for the next step, too. You're going to need the proper accessories! 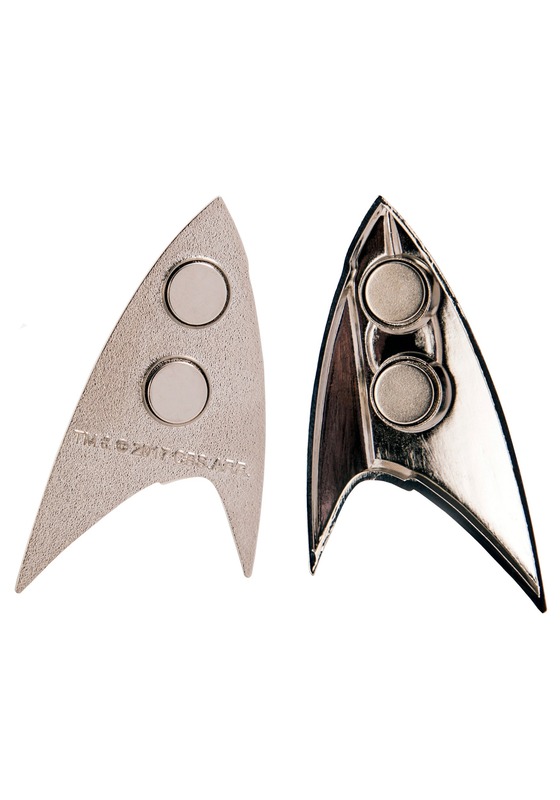 Accent your uniform costume with this Star Trek Discovery Science Division Magnetic Badge, and you'll be ready to join the crew of the Discovery! 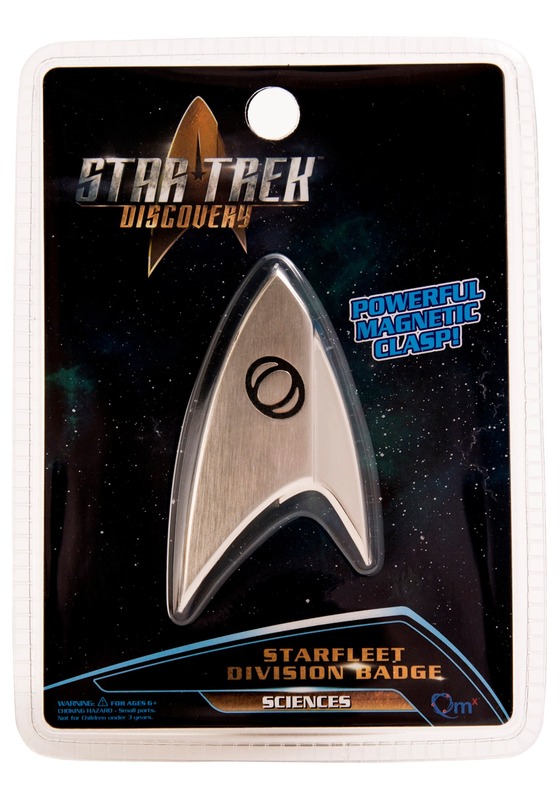 This Star Trek Discovery Magnetic Science Division Badge is a CBS officially licensed item for both cosplayers and collectors. From our friends at Quantum Mechanix, it's from their QMx Caliber Metalworks line that features advanced tooling processes and laser-cut molds for higher fidelity results and more intricate details. This badge is made of zinc alloy in a silver tone, in the classic Starfleet split delta along with the oval/oval symbol of Science Division. It features twin strong, short-field magnets to connect to a backplate. 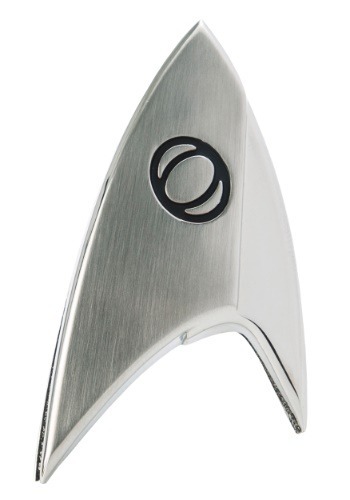 It works perfectly with a variety of fabrics, from Star Trek costume tops to even leather and suede.